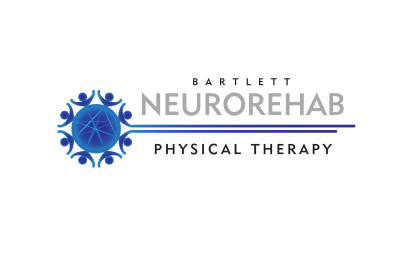 How is Bartlett NeuroRehab different from other physical therapy I have recieved? Here at Bartlett NeuroRehab we believe that reaching functional milestones is critical to safety and promoting independence. We achieve this by providing our patients with a more personalized therapy session. During your sessions, you will have the unique advantage of having your therapist's undivided attention throughout treatment. The individual looking to improve their physical function, decrease their pain, and improve their mobility The individual looking for an approach that combines a movement analysis with a background of neuroscience and orthopedics. No, you do not need a referral. You can be examined and evaluated by a physical therapist without a physician referral in the state of Tennessee. During your initial evaluation visit, you will discuss your plan of care, treatment program, and any further steps you need to take to help you reach your goals. What can I expect on follow-up appointments? On follow-up appointments, you will get the one-on-one care that you deserve from your physical therapist including hands-on manual treatments, exercise instruction, functional training, and the undivided attention of your therapist. How long does each visit last? Typical visits last anywhere from 1 hour to 1.5 hour depending on need and necessity. We do offer "mini" follow-up sessions that last 30-45 minutes. These shorter visits typically follow after your initial visits and evaluation. What should I bring with me to my physical therapy appointments? You will receive an email confirmation of your appointment with instructions for what to bring including necessary paperwork and health history. You will want to wear comfortable attire and comfortable shoes. Physical therapy is the application of principles and techniques aimed at restoring motion, increasing strength and maximizing function of a body part or system when these are lost due to injury, illness or disease. The goals of physical therapy interventions often include: increasing a range of motion, increasing strength, decreasing pain and re-establishing or integrating a lost movement function. Sometimes, however, the goals also include interventions aimed at stabilizing excessive joint movements or instabilities. These might result from injuries leading to ligamentous laxity, genetic pre-disposition, neurological disease, or in the case of the spine, age related changes.